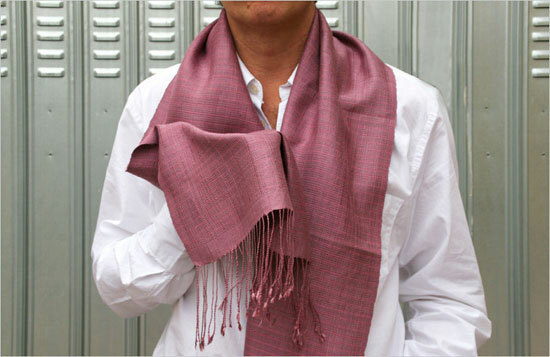 the latest addition to the designboom shop are these ‘natural silk scarves‘ from thailand. all of the silk scarves available from the designboom shop are produced by a tiny village of silk producers and weavers in north-east thailand. each scarf is hand made and dyed using natural raw materials such as leaves, fruits and resins. you can learn how the scarves are made, in our article ‘silk making in six easy steps‘. – your purchase will contribute to supporting the community featured in our article.